Antonino Saverio De Luca, (Bron­te 1805 -- Rome 1883), cardinal, brother of economist Placido, was apostolic Nuncio of Pope Gregorio XVI and Pius IX to the Court Of Bavaria and then to Vienna, and also appreciated author of historical and theology works. Began his studies in Bronte In The Real Capizzi College, to continue them in 1816 in Monreale, where, unusual for those times, learned English, French and German. While still twenty years old, he was judged the best for Latin, Greek, Italian and History among the Sicilian young people winning a thousand scudi in a prestigious contest. In 1829, he moved to Rome where, after an initial period of privations, was able to publish his first theological essays and the first articles. He was well accepted in the Vatican circles and was assigned to the first prestigious tasks. Benedetto Radice writes of him that to emerge "in that mare magnum (multitude) of the universal city had to use more oars than sails, to be able to affirm with legitimate pride that man's greater glory is to owe everything to itself, whatever little that is" (Two Sicilian glories - The De Luca brothers", Bronte, Social typographic establishment, 1926 ). He was an eclectic church man very cultured and very valiant in defending the temporal power of the Pope. Founder of religious communities, member of royal committees and the institute of historical correspondence of Paris, associated to several Aca­demies (Tiberina, Arcadia with the name of Polinesto Chersoneso, Ar­chaeological), director of periodicals, professor of theology (to the Roman Archigginnasio), Bishop Of Aversa, but above all skilful and able diplomat. In 1840 the Catholic university of Lo­vanio (Belgium) conferred him the de­gree ad honorem in theology together with the Lacordaire. 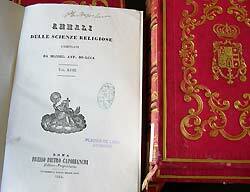 Pope Gregorio XVI propaganda congregations' Consultant named him and of the Index, professor of the University Of Rome, polyglot director of the typography of Propaganda Fide and, the December 8th, 1845, Bishop Of Aversa. From 1853 to 1863 Pius IX entrusted him delicate tasks near the imperial Munich and Austria courts, where was named Apostolic Nuncio, and assigned to important missions in Hungary and Romania. To Munich and Vienna the cardinal, able negotiator, drafted the pacts between the two kingdoms and the Santa Sede and received prestigious honors. 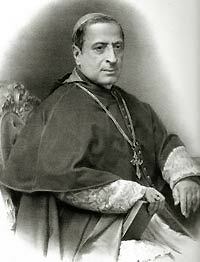 Antonino Saverio De Luca was named Cardinal on March 16 of 1863. Luca from a drawing drawn by the book of G. De Luca "History of the town in Bronte", in a very rare photography and a picture preserved in the Library of the Capizzi college. and that he directed, and collaborated with, for ten years. 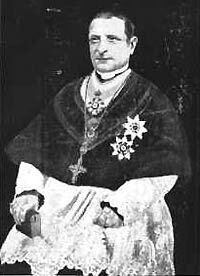 Benedetto Radice writes what "Pius IX wanted to reward the diplomatic industry, the doctrine of the nuncio De Luca and his faith in the destinies of the papacy, raising it to the cardinality". The red zucchetto was sent to him to Vienna, if the De Luca remained as Pronuncio until his successor's arrival. 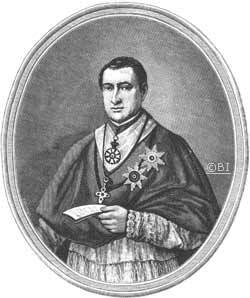 Was extremely dear to Metternich and to the emperor Francesco Giuseppe that in May 13, with solemn ceremony, wanted to put on the head of the Nuncio the Cardinal's biretta and conferred him the Big Cross of Saint Stefano of Hungary, usual honor given to sovereigns, royal princes and first ministers. 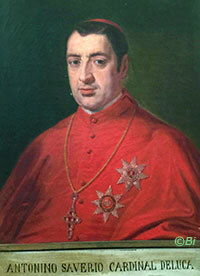 He was considered a missed Pope in the next conclave to the Pius IX (1878) death. He died in Rome on December 29 of 1883, in his flat at the palace of the Vatican stationery. 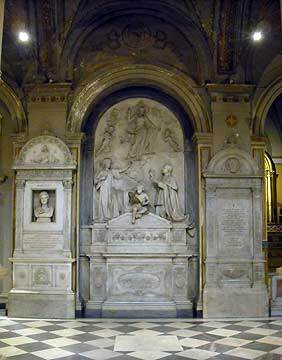 Is buried in Rome In The Church in San Lorenzo in Damaso, where, close to the tomb of Pellegrino Rossi, the Cardinal, still living, had raised a magnificent mausoleum (work of the sculptor Prinzi). The funereal monument that, still living, the card. 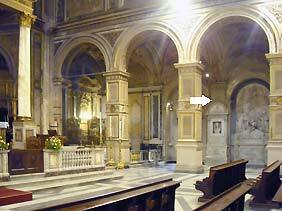 De Luca made raise in the church of San Lorenzo in Damaso. In high relief, which occupies a whole wall of the church, the angel of the Resurrection, the cardinal genuflect and Christ, winner of the death are noticed, surrounded by the angels. A small angel in bass to the center, holds the inscription "ego sum resur­rectio et vita". The De Luca was considered a "missed Pope".